The recent release of the Department of Homeland Security's report on Russia's "malicious cyber activity" provides us with an analysis that proves the guilt of America's former Cold War adversary for actions that it took during the 2016 American election. The analysis is supposed to provide "...technical details regarding the tools and infrastructure used by the Russian civilian and military intelligence Services (RIS) to compromise and exploit networks and endpoints associated with the U.S. election, as well as a range of U.S. Government, political, and private sector entities." 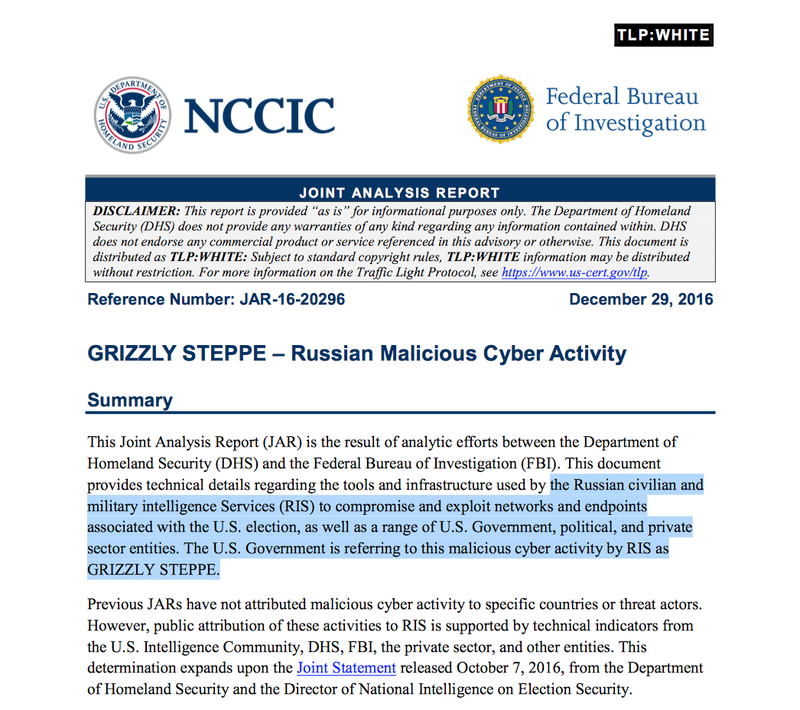 As it does in its combat operations around the globe, Washington has even given these operations by RIS a clever name; GRIZZLY STEPPE. The disclaimer clearly states that the report is provided on an "as is" basis and that the Department of Homeland Security "...does not provide any warranties of any kind regarding any information contained within." 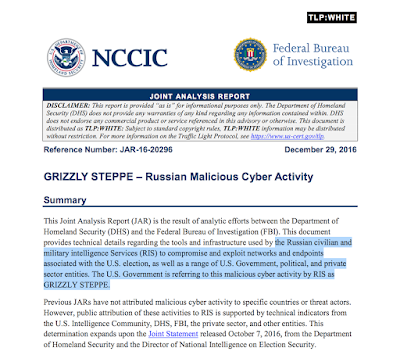 One would think that such a boilerplate disclaimer would not be necessary if the Department of Homeland Security and the National Cybersecurity and Communications Integration Center (NCCIC) were certain of the "facts" stated in the report, particularly given that its findings are driving the Washington's anti-Russia agenda. This is looking more and more like the kind of propaganda that was used by Washington in the decades after World War II to justify their spending of trillions of dollars on arming America for the Cold War.